It is customary for farmers to name their plots. We were raised with these singsong names which are often strange and hard to spell, such as "Les Grands Drailles", "Joncades Hautes" and "Joncades Basses", for Jean-Benoît's apple trees; and "Galéant", "Rose" and "Les Pétarelles" for the vines at Catherine's Vieux Télégraphe. The name often comes from the lieu-dit (literally "place called", or locale) such as Castelas, but also from the person you bought it from - as with Roméro, a gentleman of whom we are very fond. 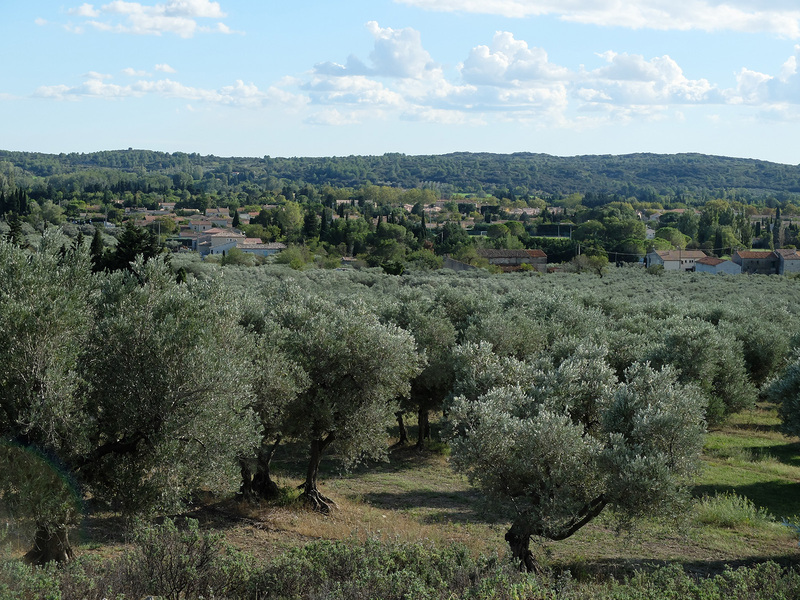 We have followed tradition and named our various groves thus: Castelas, Roméro, Dominé, Mas de Flore, Jaubert, Plaines de Geymon, Beaumettes Hautes, Beaumettes Basses, Romanin, and Les Baux. We will only describe the main ones here.